P6 Eggy News – an egg which takes 50 minutes to soft boil?! Yep, you can buy one. P8 Beak trimming – Mutilation, or a necessity? We look at the facts. 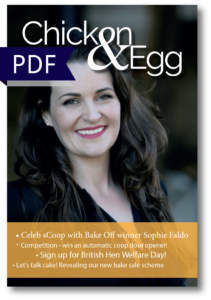 P11 BBC Apprentice winner talks cakes – We catch up with BBC’s The Apprentice winner Alana Spencer about her amazing bakes, eggs and chickens! 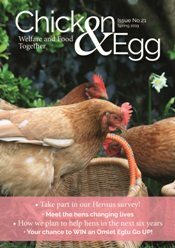 P13 British Hen Welfare Day – Cakes? Check. Chickens? Check. It’s BHWD Day sign-up time! P18 Competition! Fed up of 5am hen alarms? Win yourself an automatic coop opener! P22 Bake for Hens’ Sake! Find out about our new bake sale pack, including recipes from a very elite clutch of top chefs. P23 Got eggs galore? 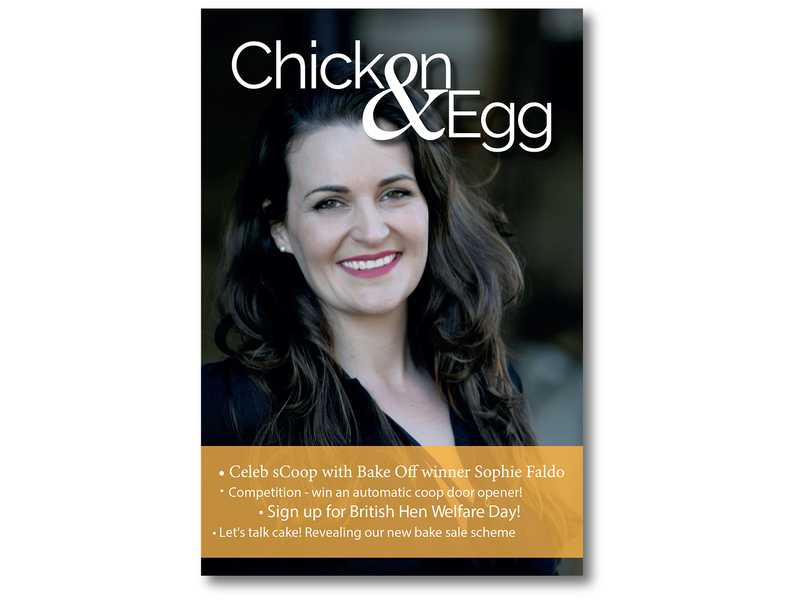 Read our latest Egg Club column and find out how to sign up. P33 Recipe – This frozen lemon and blueberry cake is the perfect summertime treat. P48 Gaynor’s Tip – Soft shell eggs and how to deal with them. 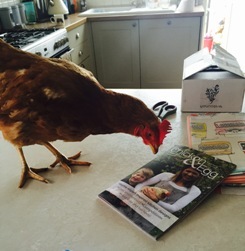 You can view Chicken & Egg as a pdf download or a flip book. Please click on your preferred format below.